You can find this wonderful estate home community tucked away in Severance, Colorado near Woods Lake. This community is designed around the way your family wants to live, offering both ranch style and two-story homes with a spectacular view in all directions. Golden Eagle Acres is located 10 minutes from Windsor and Eaton, Colorado, offering access to desirable schools, recreation centers, grocery stores, shopping, dining, and entertainment. All homes in this community come standard with a 3-car garage; and an optional RV garage can be added to most plans. Homes in Golden Eagle Acres also come standard with our Classic Finish Package. 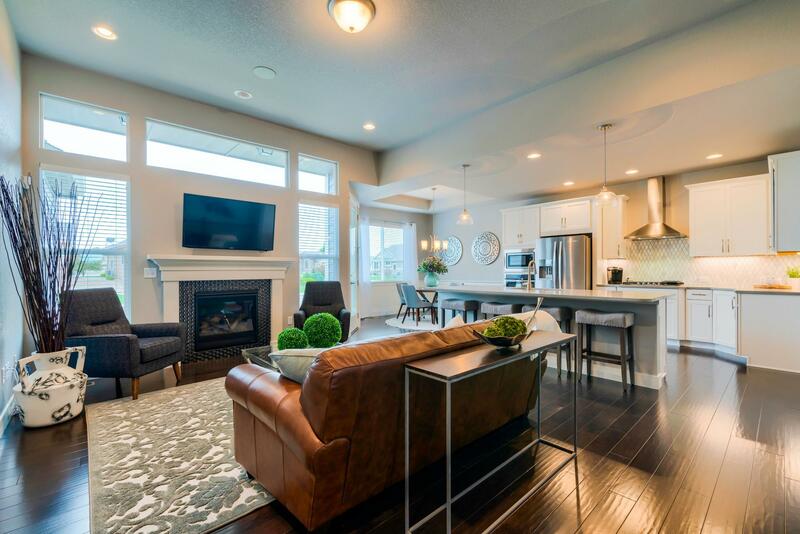 Classic Finish Package Inclusions: Wood flooring in the kitchen, entry, and dining areas Stainless steel appliances Full height kitchen backsplash Granite or quartz kitchen countertops Tile master bath flooring And much more! For Community Covenants click here Call 970-573-7033 today or stop by our sales center and see for yourself what this community has to offer.